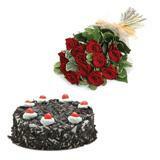 A charming surpirse at midnight is the best gift you can send to all cities in India for your loved ones. 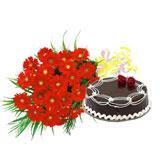 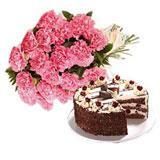 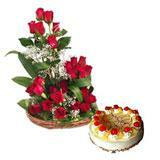 This beautiful gift combo carries with it a basket of 25 peach roses and a 1 Kg heart shaped strawberry cake. 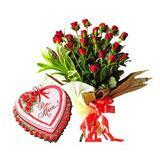 Send other Gifts across India through GiftsAcrossIndia.com.